A higher title could help you score a bigger job (and a bigger salary) when you make your next move. If you're not up for an actual promotion, ask for a job title promotion. You know you’re ready for the next level at work, but you’re not up for a promotion anytime soon. And, you don’t want to leave your current company to get that bump. How can you stay put and get ahead? One smart way to level up is to ask for a job title promotion. It can be an easy win, especially if it doesn’t involve a salary bump, but could set you up for even greater success down the road. Negotiating a job title promotion won’t just stroke your ego and make your resume look more impressive; a higher title could put more money in your pocket in the future. “Job titles are useful when it comes to your next move,” says Calum Coburn, global senior vice president at Negotiation Experts in Sydney. You’ll be able to leverage that higher-up position to secure a larger salary or to jump up a notch on the ladder when you start your next job search. That fancier title is also useful in your current company and can give you more visibility among colleagues and clients, says Sarah Sheehan, founder and chief customer officer at Bravely, a career-coaching agency in New York City. Feel like you deserve a new title? Here’s how to make the ask. Before you think about how the conversation will go down, start acting like you’re already in the role you’re gunning for. That means assuming the responsibilities that go along with the title but also tweaking the way you present yourself. 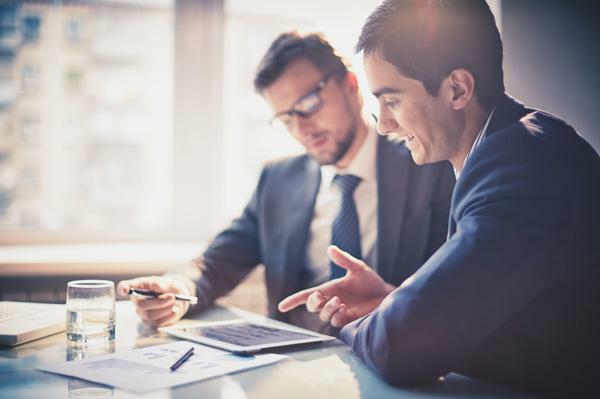 For example, Bairre advised a client who’d recently passed the CPA exam to only attend meetings with a clearly defined agenda since that’s what a partner at an accounting firm would do. Or, if you’re part of a group project that feels unstructured, step up and take the leadership role that ensures the project is completed on time and gets excellent results. Not sure where to start? Note the titles of the people whose career paths you’d like to follow. “If you know where you want to go in your career, position yourself to be in the right place to reach that goal,” Bairre says. Cutesy titles, like “Chief Happiness Officer,” may be in vogue right now, but Bairre warns not to get too creative. You want whoever is looking at your resume in the future to understand what you do. It’s also much easier to ask for a job title that already exists at your company versus creating a new one, Coburn says. The easiest place to look is the next step up in your actual career (from shift manager to store manager), for instance. But if you realize that your job has started to include duties outside the realm of either your current title or the one you’d be up for next, you may want to suggest a different title altogether. So if you were an account assistant but have been doing a lot of strategy and analysis, you could aim for an account strategy coordinator role. Be ready to talk to your boss about how your job duties differ from your official job description. Better yet, show how they align with the duties of the higher title. Sheehan says to check your emotions at the door, and simply state the facts for why you deserve the promotion, quantifying your accomplishments as much as possible (like when asking for any promotion). “It’ll be hard for your boss to disagree if you’re giving facts and figures to back up what you’re asking for,” Bairre says. If your boss denies your request, stay professional and ask what specific milestones you need to achieve in order to be granted the title change, Coburn suggests. If you’re not getting that job title promotion at your current job, the natural next step is to take your search outside your company, which is often the best strategy for success because a new title frequently comes with a new role. So even if you aren’t sure you’re ready for that next step, see what’s out there and if the title (and salary) bump you’re angling for can be found elsewhere. Need help getting started? Join Monster for free today. As a Monster member, you can set up job alerts for specific titles and get emails whenever positions open up, giving you a head start on the competition.